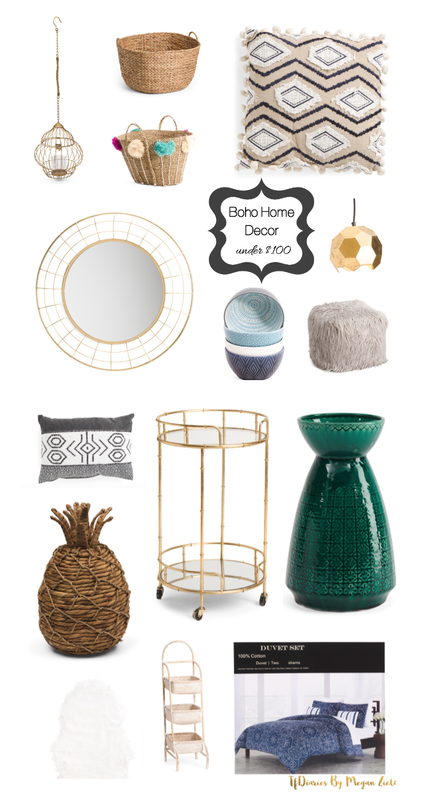 It's really no secret that I'm a lover of bohemian and eclectic decor and goods. If I could go full on 'Jungalow' in our apartment I would and likely will in the future or future apartments at the very least. I'm still kicking myself for ditching our perfectly good peacock chairs for our move. Who would have thought I would be more into them now than 5 years ago. But, I'll live and likely find another pair in the future, just not for free. 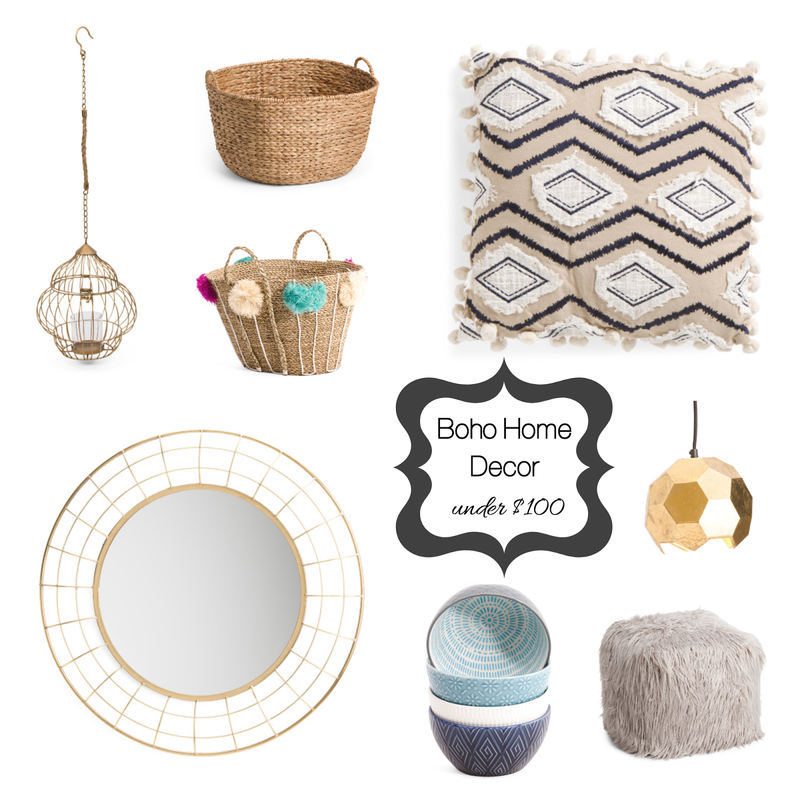 Anywho, boho decor. 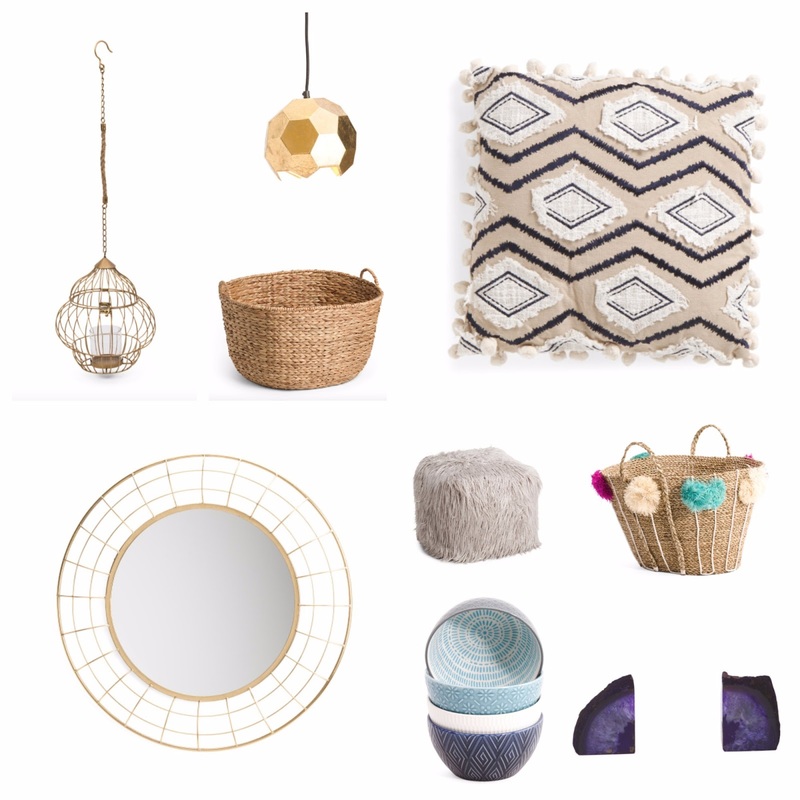 You already know this from past posts I constantly check the TJMAXX(.com) for amazing finds, especially for the home. 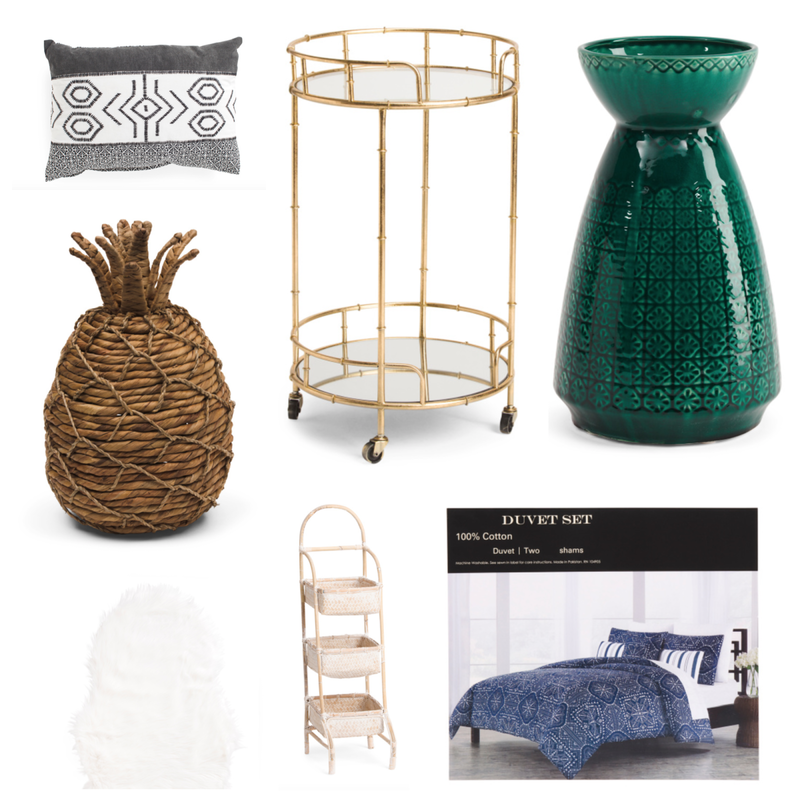 So, I'm rounding up some of my favorite bohemian finds for the home for under $100, most are $50 and under but I had to add the bar cart - eep!